The first big retrospective of Ai Weiwei opened last month in Florence, Italy. 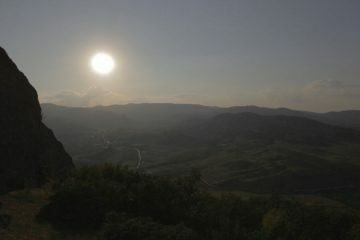 This event not only brought to Italy for the first time works that left a sign in the recent history of contemporary art, but it also marks the reactivation of the contemporary art network that connects Palazzo Strozzi (and the reopening of the Strozzina, after a temporary halt in its activities) to other centers in Tuscany, like Pecci, in Prato. 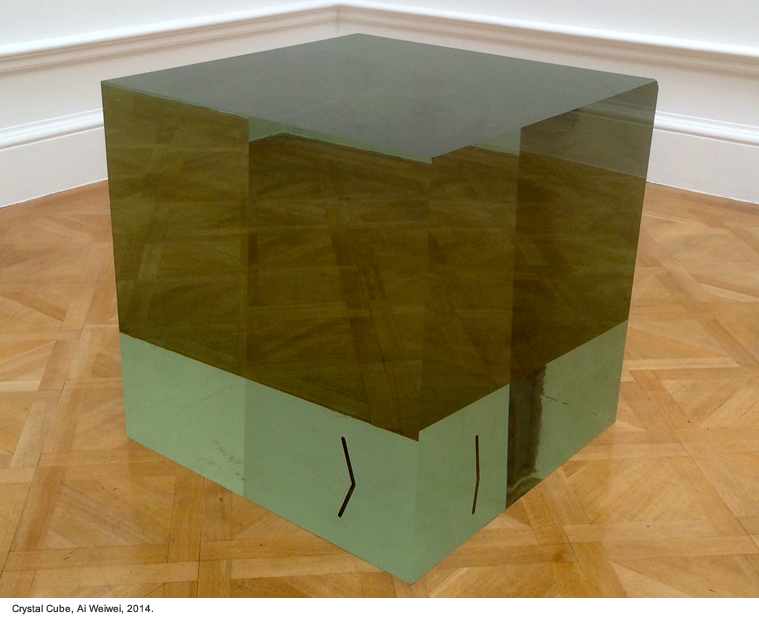 On view at the exhibition there will be iconic works by Weiwei, which document his artistic development and reflection, not only in the research of material and forms, as in Crystal Cube or Blossom, but also in the struggle for the freedom of speech which marked his career. At Palazzo Strozzi, works like Souvenir From Shanghai, are proofs of the activity of the artist as a designer and architect, an activity marked by dissent, a production of which only some fragments are left over. The work is in fact the remnants of the studio built by Weiwei in Malu Town, upon invitation of the Chinese authorities, who then, because of the political activity of the artist, demanded its demolition after the building was completed. The research of material and symbolic qualities of objects is reflected in different works in the retrospective. 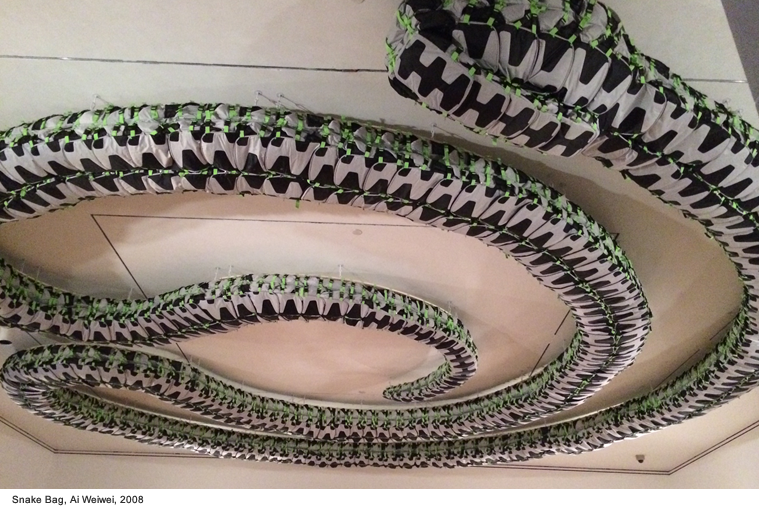 In some cases, as in the famous performance Dropping a Han Dynasty Urn, Weiwei expresses historical awareness, together with the intentional rebellion against it; in others, like Stacked (installed site-specifically in the spaces of Palazzo Strozzi), it represents cultural and autobiographical reflection; in others, first amongst all Snake Bag, it equals a social awareness which is connected to human rights, justice, and institutional transparency. 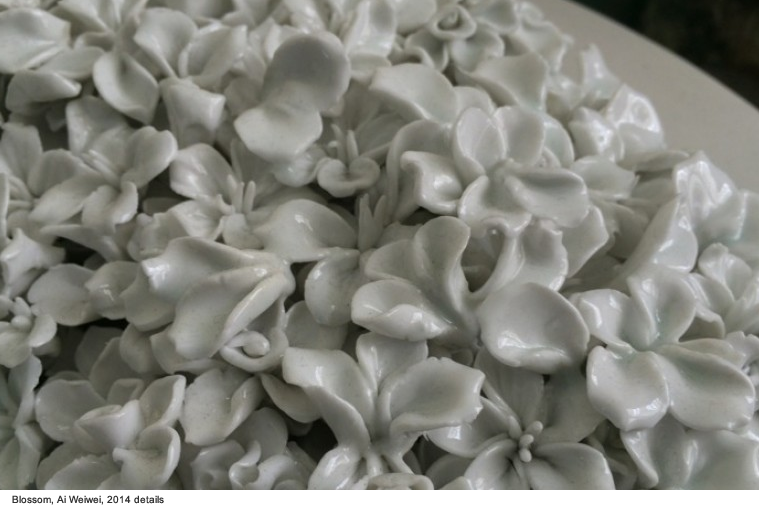 The last work has been produced after the resounding case connected to the presence of the artist on the web: in fact, on the artist’s blog, thousands of name of the children who died victim of the earthquake in the Sichuan region in 2008 were published. The government reacted shutting down Weiwei’s blog, and the artist became one of its favorite targets of control and censorship. 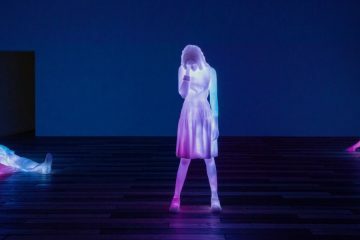 After this, the artist started using other platforms, like Twitter or Instagram, reflecting upon the state of freedom of speech in his own homeland. This theme is fundamental in Weiwei’s production, and it is from this that many of the works of the artist in the last years stem. His works document his implication in the struggle against authorities, an implication that costed him his freedom, as well as his health. The preferred realm of activity and activism for Weiwei is the web, the only space where he can escape the control and the censorship which characterize his everyday life. 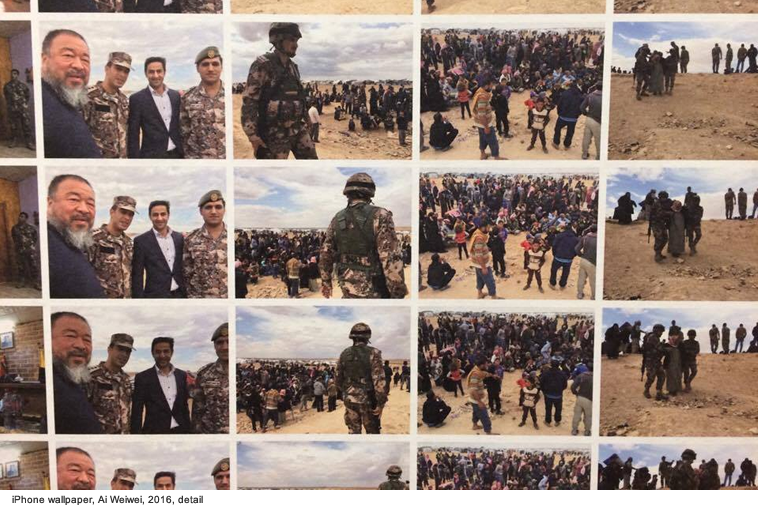 The effectivity of social media, and the way the artist used them, makes tangible the freedom of speech he fights for, through contamination and viral diffusion of words and images; however, together with it, also the risk of political consequences become real and tangible. 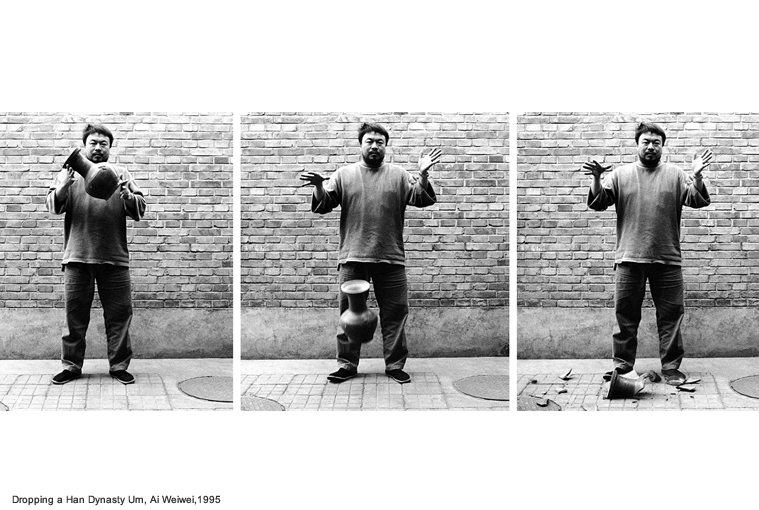 It is for the wide resonance of his actions through the web, and for the extreme consequences these had, that Weiwei became a very popular and renown artist. 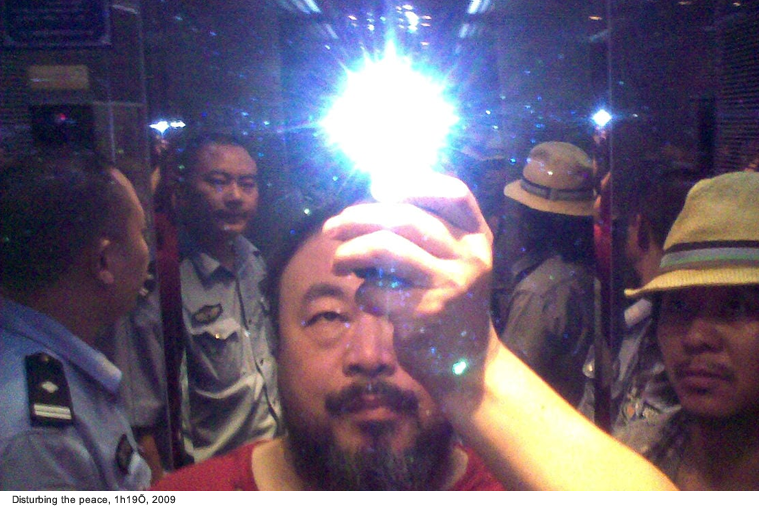 Through social media, Weiwei systematically investigated and uncovered the corruption of the Chinese government, an activity which led to his arrest in 2011. This meant a detention in an unknown place for almost three months. After his release, Weiwei’s passport has been confiscated, making it impossible for him to leave the country. The smartphone at this stage became for him a weapon, being able of shooting pictures and channel information, in such an overflowing way that managed to overturn the continuous controls and tailings to which he was regularly subjected. 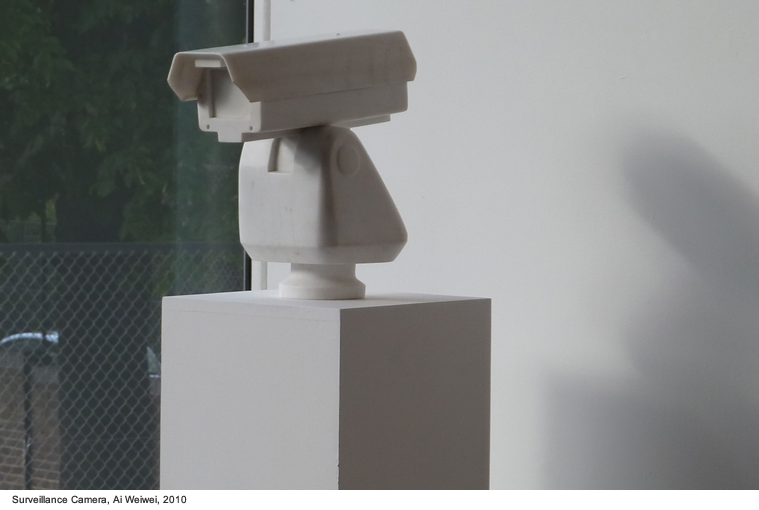 Constantly tailed, the artist started a project of self-surveillance in his own house/studio, exposing himself to the technological eye of the webcams installed everywhere in his domestic spaces. Some of the postures and the gestures of the artist became viral, like the picture in which the artist is holding his leg as if it was a gun, which reminds in a way the series of pictures in which the artist literally “flips the bird” to institutions and centers of power in the way they inspired imitation and replication. After his passport had been returned to him, in July 2015, the artist managed to start traveling again. One of his first stops was Lesbo island in December 2015. The issue of migrations is perfectly linked to his reflection upon freedom, and it is to this experience that one of his most contested installation in Florence is inspired. The center of the controversies is Reframe, an installation which literally reframes Palazzo Strozzi, and raises a couple of issues. Those which seem at first sight architectural decorations from the Renaissance revisited in a Pop style, are in fact inflatable boats, the same ones that migrants and refugees use to cross the Mediterranean sea, and reach the coasts of the neighboring countries. This theme touches Italy directly, and it is because of this that many disagreements were voiced out, backed up by idea that the installation might be contributing to spoil irrevocably the historical building for the sake of the exhibition. 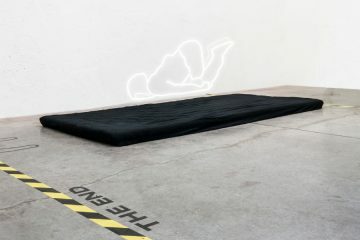 Despite the burning vicinity of the issue around which the installation revolves, this work doesn’t have to be interpreted as a direct provocation against Italy, but it has to be considered according to its place in history in a wider sense, and in a contingent way, relatively to the artist’s biography. On the one hand, the application of these dramatically iconic objects takes place in the heart of one of the centers of the Western humanism, that same humanism which generated universalistic values in the name of which Colonial empires have been built, territories have been occupied, and human beings deported and exploited, mutilated and killed. These empires changed form during the centuries, generating an ideological separation between the West and the rest of the world. The consequences of this capitalistic humanism are exactly the ones that we witness on a daily basis. On the other hand, Weiwei, finally Free, as the title of the show underlines, started traveling again, and during his travels he observed and documented the struggle for freedom of the refugees. “If there is one who’s not free, then I am not free. If there is one who suffers, then I suffer”. Migrations are at the core of his latest production, if we consider that at FOAM, in Amsterdam, another solo show of the artist, #SafePassage, opened a week before the retrospective in Florence. 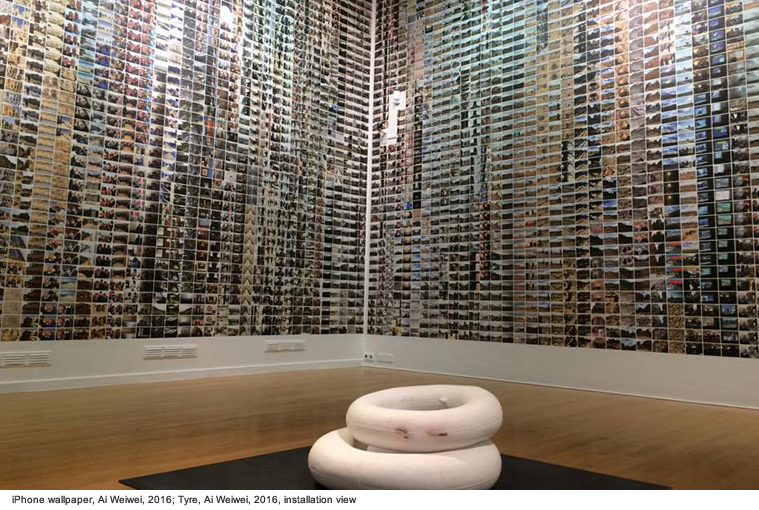 In this show, thousands of pictures shot by the artist with his iPhone on Lesbo island, are matched with marble sculptures which reproduce tyres. 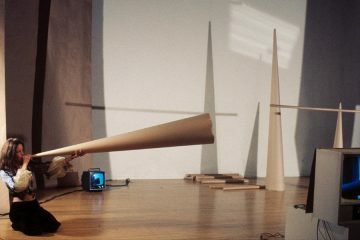 If on the one hand the images determine a fragmented and multiplied perception of what is being witnessed, typical of the social-media communication, on the other the artist sculpts objects with a material that is, again, linked to the humanistic modernity, and which makes heavier what should instead float, and help to survive. 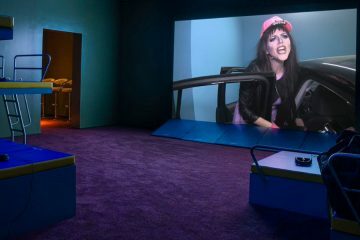 “To me, to be political means you associate your work with a larger number of people’s living conditions, and that includes both mental and physical conditions. And you try to use your work to affect the situation”. 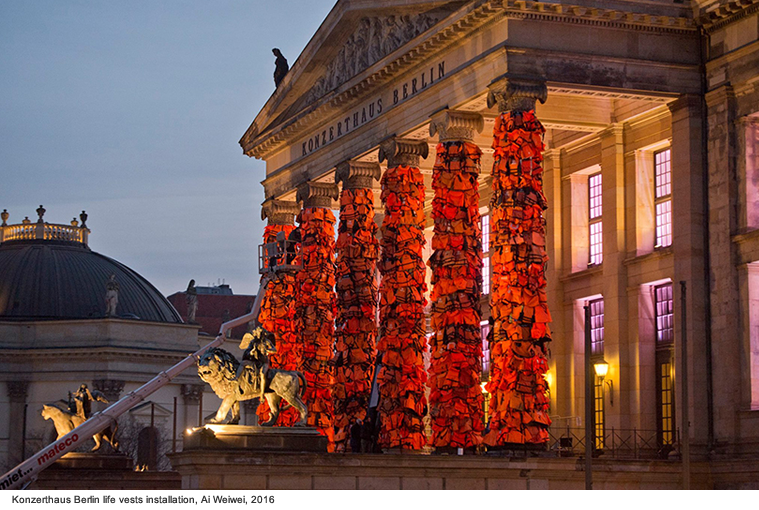 However, Reframed is not the first installation in public space which deals with this issue, which is so present in the European political discussions: Weiwei has in fact, only a few months ago, covered the columns of the Berlin’s Konzerthaus’ facade with life vests taken from the shores of Lesbo. This installation, though, has been accompanied with photos which document the other thousands of life vests lying on the shore, as the evidence of a painful reality which exist prescinding from the artistic responsibility of an individual, a responsibility which touches that exact sense of humanity which is supposed to guide our consciences. “My definition of art has always been the same. It is about freedom of expression, a new way of communication. It is never about exhibiting in museums or about hanging it on the wall. Art should live in the heart of the people. Ordinary people should have the same ability to understand art as anybody else. I don’t think art is elite or mysterious. I don’t think anybody can separate art from politics. 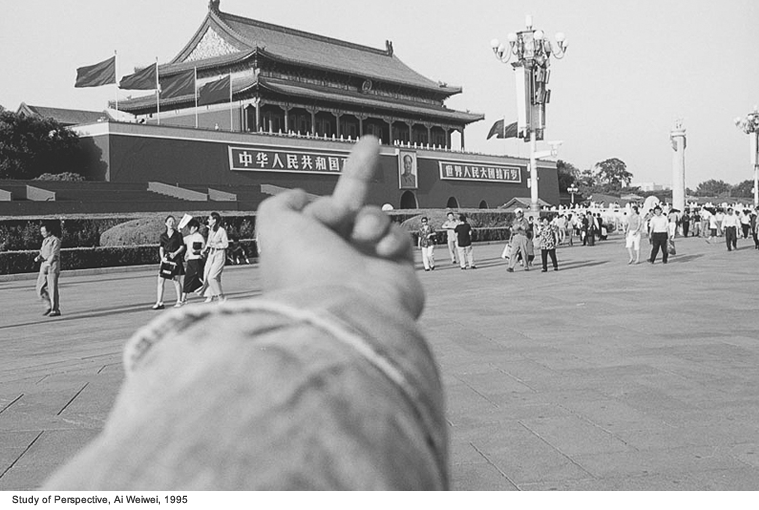 The intention to separate art from politics is itself a very political intention” writes Weiwei in his collection of Weiweisms. We can say that he is reaching his goal, especially if we think about Reframe and the discussions generated around it. It is in a public space, where everybody can see it, in a form which is popular and understandable, causing discussions and debates which should detach themselves from generalist accusations of defacement of historical buildings, and should also free themselves from that sense of frustration, of guilt, of ignorance and racism, which accompany any kind of discussion having to do with the issue of migrations and the landing of refugees on the European shores. In the light of all of this, judgements are produced arbitrarily about a show which happens to be very important in the Italian artistic-institutional context. We should accept with intelligence and criticism the provocations of an artist which made of the political art and activism his own manifesto, whose artistic production is aimed at rethinking history in order to improve the present, whose struggle aims at the creation of a conscience which makes use of values which could really be defined “universalistic” in a novel manner, and not just “humanistic”.